How do I change my time zone for assignments? Customers are able to set the time zone to the school's actual time zone. Once set your time zone will be used for all the start and end times for assignments. 1. 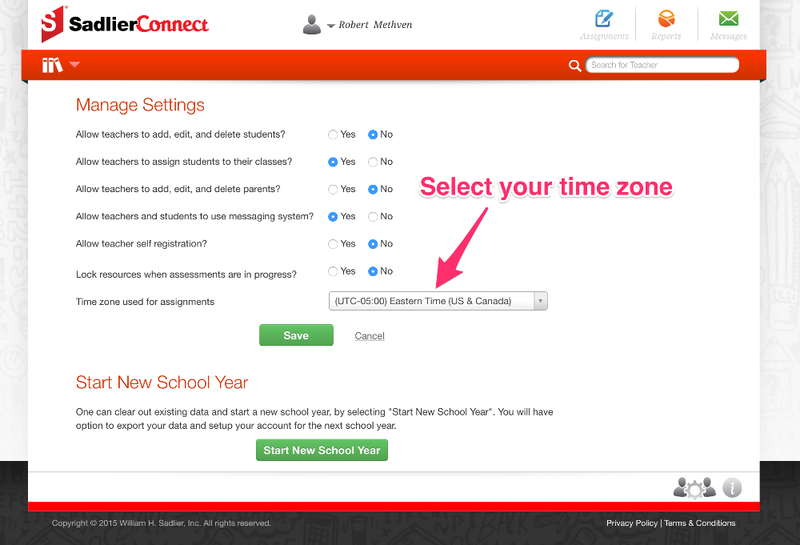 You must be logged into a school administrator account to set the time zone. 2. 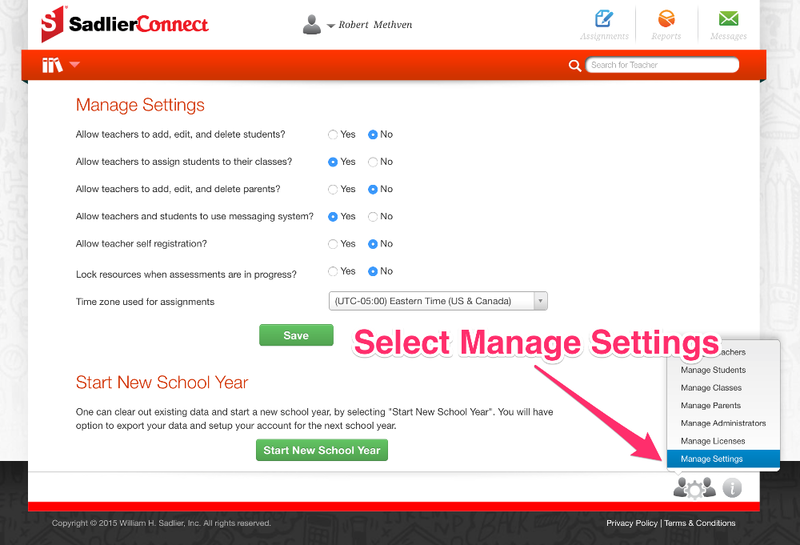 Once logged into Sadlier Connect, go to "Manage Settings". 3. Set the time zone drop down for the "Time zone used for assignments" to your school's time zone. 4. After selecting your time zone, select "Save" to save the setting.